Added ramps to the side platform of a half pipe. 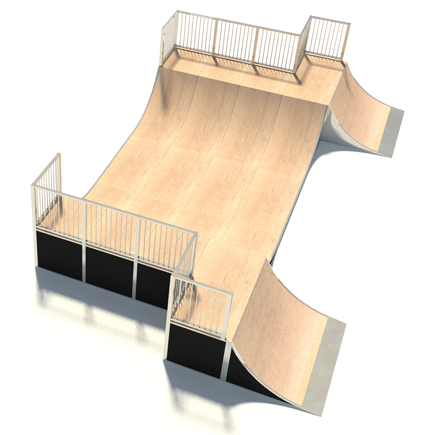 Can be quarter pipe or flat ramps. Also available in several variations: single or double depth platform, 3 to 4 bay widths and different platform heights.